Nintendo looks back to their roots and brings us a Super Mario Bros. mash-up that brings elements from all of the previous games in the series, as well as some new tricks and mini-games that will keep you playing for hours on end. The Good: Pure old school, side scrolling Mario action. Best looking Mario platformer to date. 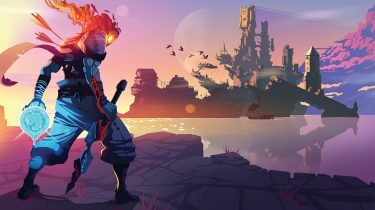 Familiar music and sound effects incorporated into gameplay. Tons of mini-games that make great use of the touch-screen and mic. It retails for $15 less than most Nintendo DS games. It’s just plain fun! The Bad: We had to wait 15 years (since Super Mario World) for another great Mario game. If someone had told me 19 years ago when I got my NES for Christmas, that I’d be playing Super Mario Bros. when I was 26, I doubt I would have believed them. Not only am I playing it, I’m having a blast doing so! New Super Mario Bros. is a return to the classic SMB gameplay that so many of us grew up playing. Everything from the basic d-pad plus A+B controls to the goofy music that gets stuck in your head for days to sliding down a flagpole at the end of each level. It’s all there and it sure is refreshing. You’ll feel right at home the first time you fire it up and will no doubt be smiling the entire time. 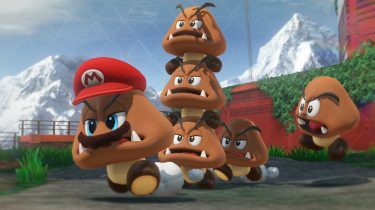 New Super Mario Bros. brings elements from all of the past games in the series to the table, as well as some new moves, worlds and enemies. You have a map similar to SMB 3 where you go from level-to-level and taking down Koopa castles as you progress through the 8 worlds. There’s mushrooms houses that can be unlocked along the way for bonus items and extra lives. And even the odd Hammer Brother will try and get in your way of saving Princess Peach. Some things don’t change! As usual, Mario has a bag of tricks at his disposal. Mushrooms to make him grow big, and now enormous and absolutely tiny. The fire flower is back as well, and another new addition, the blue turtle shell. When you run with the turtle shell on, Mario will go into a spin as the shells do when you throw them. If you’re not careful though, you’ll find yourself falling down holes as I did quite a few times. It would have been nice to see some of the other items from SMB 3 and SMW return as well. Like the Hammer Bros. suit, raccoon tail or cape. Yoshi was also MIA which was a little disappointing, but I got over it! There’s lots to keep you busy in NSMB. There’s still coins to collect – 100 will still get you a 1up. But there’s now star coins (similar to those seen in the Mario Party series) that are collected in each level. There’s 3 per level and 5 will get you a pass to a Mushroom house. The star coins can be pretty tricky to get to or even find at times but a really smart addition to the game to keep you going back and replaying the levels. I didn’t pass by a level until I had all 3 star coins up until world 8 at which point, I just wanted to beat the game. But now I’ll go back and get them. The fun is hardly over once you’ve saved the Princess. There’s a whole pile of mini-games that are tons of fun to play. All of which make excellent use of the DS’ touch-screen and built in microphone. There’s also a multiplayer mode via WIFI, but I’m yet to check that out. 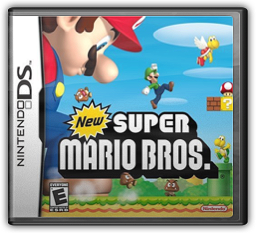 I hear it’s pretty fun and includes some custom levels that you play as Mario and Luigi in a battle for coins. I only have one complaint, and this is something that goes for every handheld game out there. Handheld gaming units are made to be portable. So you can whip it out and play for a while, or for a few minutes wherever you may be. That all sounds fine and dandy, but good luck doing so when you can’t save your progress when it’s time to put it away. In NSMB you can only save once you’ve beaten a castle or unlocked a mushroom house. This became increasingly annoying as I found myself having to shut the console off after completing a couple levels without the ability to save my progress. Once you finish the game, you’re able to save simply by pressing start when you’re on the map screen. Would have been nice to have that all along, and really, would have made a lot more sense. 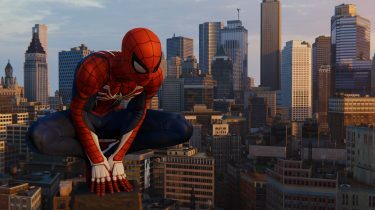 With the exception of the save functionality, this game is top notch, old school gaming greatness! And on top of everything, it’s $15 cheaper than most DS games. You really can’t go wrong with New Super Mario Bros.